If you work in marketing and PR, you know there’s been a sea change. The old “push” tactics the industry once relied on no longer work well in the digital age. As a PR professional, journalists and media folks are your consumers and today’s consumers increasingly reject top-down, interruptive messages trying to sell a story. What they accept and crave is relevant content that draws them in, engages them, and helps them write the stories they know their readers want. They want tactics that are inbound. The problem, however, is most PR firms are still outbound organizations trying to survive in an inbound world. What’s Not Working in PR? Companies in other fields have figured out that the way people make decisions, let themselves be influenced, and buy has changed. Instead of pushing interruptive messages on people, they take an inbound approach, drawing them in with multichannel techniques aimed at gaining their attention and trust through relevant content (but more on that later). Many PR firms, unfortunately, continue to spam the media and journalists with outbound tactics like mass emails and cold calls, asking them to cover stories they may not even care about. Simply drafting press releases and mass emailing them to 500 journalists no longer works. One, because there are fewer journalists than there once was (the ratio of PR person to reporter is 6:1) and two, when journalists receive 1,092 press releases every day, they ignore them all and your message doesn’t get across. Inbound (which incorporates the PESO model - paid, earned, shared, and owned) is a very useful framework that allows PR folks to expand from just media relations to using the full spectrum of content creation (website, paid ads on social, video, blogger engagement, community management) to reach multiple stakeholders. Creating terrific content and distributing it alone is not enough, however. Ultimately, every business wants is to understand the true results and return of their efforts on their bottom line. When you plan out activities for the entire PESO like with inbound, you can better set specific goals for each media type and how they relate to your funnel. This enables you to measure the success of each channel and optimize for effectiveness. The first step to doing this is shifting your mindset. When it comes to mindset, PR pros should take a page from inbound marketers. Rather than pushing messages on customers, inbound marketers help by creating enticing, remarkable content, specifically designed for them and shared on the channels they use. Their mentality is to put the needs of the customer first. PR needs to embrace this philosophy to not only turn media influencers from strangers into visitors and promoters but to also start leveraging other media types from the PESO model to engage with these influencers beyond just their inboxes. With an inbound approach, media will come to you because you’ve realized that a journalist’s role (like a modern marketer) is not to promote you, your business, and your products, but to write a great story that will get read by the right audience and that fits with their media outlet. This is what the inbound mindset is about - being helpful and focusing on your persona’s needs or problems rather than just your own. Now, I call this entire approach Inbound PR. It combines the best of two worlds – PR’s content creation and inbound marketing’s mindset and measurement process. 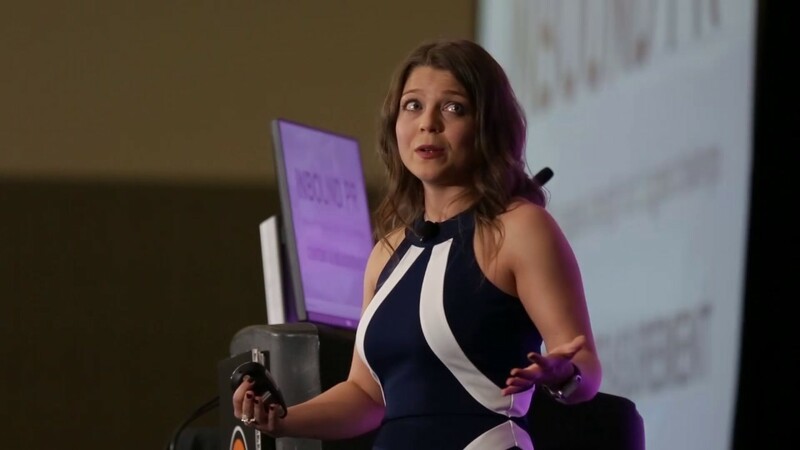 I developed it while working with hundreds of marketing, PR, and content agencies as a consultant at HubSpot and by leveraging my three-year-long experience in the PR industry before that. Here are some tips how you can get started. 1. Align with Sales and Marketing. Inbound PR takes public relations out of its silo to truly understand the marketing and sales implications their pitches can have on someone’s bottomline. When a PR professional is able to understand what the bottomline goals are for an organization they can then better understand how their work fits into that greater vision. It also enables them to frame their pitches and ideas around these goals, in turn setting themselves up to be better received. 2. Define your big strategic goals. Like inbound marketing, Inbound PR prompts you to keep big numbers (or big goals) in mind first and then plan every step of the methodology – attract, convert, close, and delight – accordingly so that you can define the right tactics that will enable you to hit them. When you know what you want to achieve in terms of revenue for your business and how much PR is responsible for , it then becomes easy to close the loop on expectations and results. 3. Define your stakeholder personas. PR is one of the only industries in the communication’s space that deals with multiple stakeholders – buyers, media people, employees, investors, and more. Inbound PR calls these stakeholders personas – the ideal representation of each stakeholder that you want to do business with. You need to define them in detail so you have a crystal clear understanding of who you’re trying to reach. It’s not enough to rely on your assumptions. To succeed here, you need to do surveys, conduct interviews, and host focus groups. These will allow you to understand what makes your personas tick, what their day-to-day looks like, what their pain points and challenges are, and what their decision-making and information consumption processes are. By painting such a clear picture, you will know what content to create and when and where to surface it. For example, if you are targeting a reporter of a financial media outlet, then you’d probably need stats and data instead of a creative story. You might find that this content is best surfaced on weekdays on LinkedIn via an infographic. 4. Stop pushing messages, start pulling people in. A vital component of Inbound PR is creating relevant content that attracts people to your business. Just like marketers had to evolve away from outbound tactics such as direct mail or interruptive advertising, PR professionals have to move beyond their inboxes and pitch lists. A thought leadership blog and and engaging Facebook or LinkedIn page are far more effective nowadays because it’s individuals that decide whether to stay in the loop with what you are doing or not. Outbound tries to force people to pay attention to you and it no longer works. Inbound, on the other hand, attracts them through valuable content designed specifically for them and shared on the channels that they use. Traditional PR needs to evolve to remain relevant for the digital reality of demanding and sophisticated consumers and brands. If you don’t adapt to an Inbound PR world, your efforts may quickly become obsolete and you’ll end up being left behind.